BJP, which has enough numbers to elect only eight candidates to Rajya Sabha from Uttar Pradesh, fielded its ninth candidate - Anil Agarwal, making the task difficult for BSP candidate Bhim Rao Ambedkar, who was hoping to go to Rajya Sabha with the support of SP and Congress MLAs. BJP with 311 MLAs and 13 MLAs of its alliance partners Apna Dal and Suheldev Bhartiya Samaj Party, has total 324 votes. 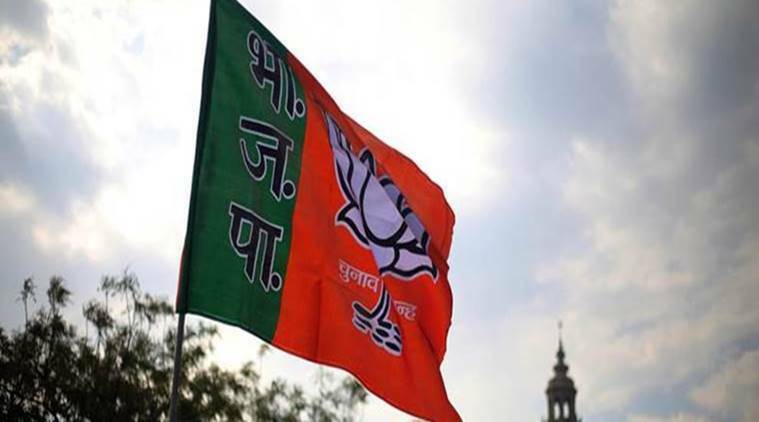 In a major setback to the tie-up of BSP, Samajwadi Party and Congress in Uttar Pradesh, Bharatiya Janta Party not only fielded its additional candidate at the last moment on Monday but SP MP Naresh Agarwal with his son Nitin Agarwal, who is sitting MLA from Hardoi also joined BJP, thus reducing the number of votes in favour of SP and BSP candidates, which is already short of votes. Agarwal made it clear after joining that his son would vote in favour of BJP candidates in Rajya Sabha elections and complained that he was compared to the woman working in films, while selecting the candidate for Rajya Sabha. Agarwal is a sitting Rajya Sabha MP, whose term would end on April 2 along with nine other seats in Uttar Pradesh. The election on these 10 Rajya Sabha seats from Uttar Pradesh would take place on March 23. BJP, which has enough numbers to elect only eight candidates to Rajya Sabha from Uttar Pradesh, fielded its ninth candidate – Anil Agarwal, who is chairman of HRIT Group of Institutes in Ghaziabad, making the task difficult for BSP candidate Bhim Rao Ambedkar, who was hoping to go to Rajya Sabha with the support of SP and Congress MLAs. BJP with 311 MLAs and 13 MLAs of its alliance partners Apna Dal and Suheldev Bhartiya Samaj Party, has total 324 votes. After electing eight candidates, which require about 37 votes each, Party would have about 28 votes as spare, which would go in favour of its ninth candidate Anil Agarwal. The decision came at the last moment as BJP till a day before had announced only eight candidates. Even three independent MLAs have also showed their inclination towards BJP. Meanwhile, Samajwadi Party, which so far had 47 MLAs had fielded Jaya Bachchan as its Rajya Sabha candidate and had promised to shift remaining vote to BSP. However, after the latest turn of events, Samajwadi Party would now be short of vote of Nitin Agarwal, who joined BJP along with his father in Delhi. Thus, after electing Jaya Bachchan, SP would have only nine spare votes to shift in favour of BSP candidate now. Even after Congress offering its support of 7 MLAs to BSP candidate, BSP, which has 19 MLAs of its own and is hoping to get support of nine SP MLAs now, would still be short of numbers. “Our nine candidates have filed their complete papers. Those with hardly any numbers had fielded their candidate thus it was decided to field nine candidates as we have votes of 28 additional MLAs and we believe that all those who believe in the democracy of this country would support us and ensure victory of our 9 candidates,” said Mahendra Nath Pandey, BJP State President, after filing of nomination of ninth candidate Anil Agarwal.